Ways You Can Help Your Pool Before Spring. This winter has been one for the records as one of the mildest winters we’ve ever had. It seems like it’s it’s barely been below freezing. While this maybe awesome for some pool owners, this crazy weather has probably affected your pool one way or another. I’m sure those of us who got our pools winterized aren’t sweating it too much, but doing some little things in this mild winter can help make your spring pool cleaning easier. One of the best ways that you can help your pool during the winter is the simplest: making sure your cover is tight and clear of debris. Keeping an eye on your pool after winter storms and high wind days can help keep you pool from turning into a stew of leaves and twigs and make spring time cleaning that much easier. The second biggest issues that comes with the winter months is water freezing and expanding in the pool and pipes. Make sure to check your pipes and pump midway through the season to make sure there isn’t any water in there. The other issue is water expanding in your pool and potentially ruining your liner or walls. The best trick is to have an air pillow under the cover and on the water. These little things can be super handy for above ground pools in the winter. Rather than the water expanding out as it freezes the space that the pillow takes up in the water offsets that space. Here at Viscount we have floats for different sized pools, so if you need to buy one we can help. We are always running specials so give us a call to see what they are. Before you get ready to open your pool (or in crazy weather situations like this season) we recommend putting a few chemicals in there to help make the “de-winterizing” process in the next few months. The first is a nice algaecide to help prevent any green rings in your pool. Especially in weather where we don’t get below freezing, making sure that algae growth won’t happen will help you save time and energy in the spring. We also recommend putting 1-2 gallons of liquid chlorine for an above ground pool. Just be careful not to add too much or the liner in your pool liner will bleach out. 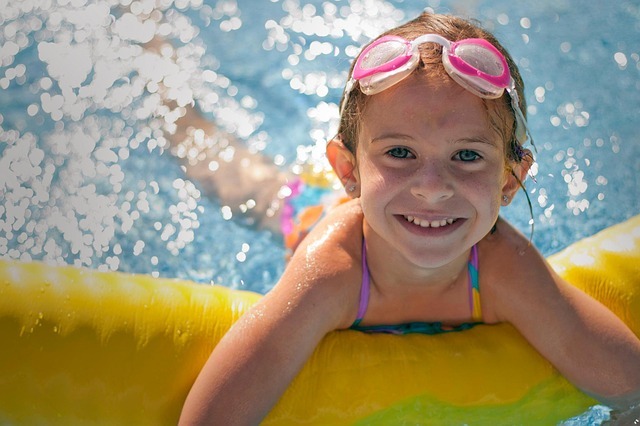 We can help consult with you about what would be best for your pool’s chemical levels. We offer computerized water testing. You can get an accurate read on what your pool needs when you open your pool. Hopefully these pool tips will help you in the winter months, and get your pool ready for spring. We are always available with more tips and tricks. Just come in with any questions you might have and we’ll point you in the right direction. Stop in today!! !